Rogers: CyberCom lacks authority, resources to defend all of cyberspace. The outgoing NSA and U.S. Cyber Command chief told lawmakers CyberCom is not sitting on its hands when it comes to potential Russian cyber interference, but it lacks the authority to do more absent additional presidential direction. How government data is at risk. Open data advocates and former government employees have concerns about the fate of open government data, in light of budget and budget and staffing cuts and topics facing increased politicization. Teaching digital government at Harvard today. Steve Kelman sits down with his colleague David Eaves to discuss, among other things, the differences between "digital" and "IT." Reorg Watch: HHS. Federal News Radio reports: “For the most part, agencies have released few details about how they are reforming and reorganizing as required under President Donald Trump’s April memo. . . . With the exception of the Agriculture and Interior departments, nearly every other agency has kept the details under wraps. And the plans from USDA and Interior have been disconcerting at best. . . . The Department of Health and Human Services, however, may just be bucking both of the trends when it comes to reorganization. 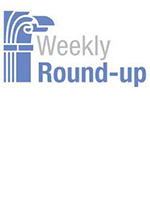 The department launched ReImagine HHS in May 2017 and seems to be hitting many of the right notes by including career employees and giving them ownership of the process. Modernizing Grants. Federal News Radio reports: “The Legal Services Corporation is detailing every step in its grant making process as part of its systems modernization effort,” and that, once described, it will develop a modernized approach. Procurement Innovation. Federal News Radio reports on the use of an acquisition authority, “Other Transactional Authority,” that could speed the use of innovative contracting vehicles. 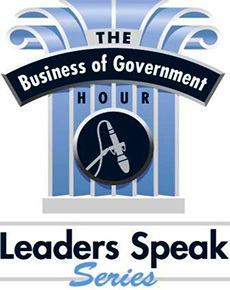 This Week’s The Business of Government Radio Show. How are autonomous technologies advancing in healthcare? What is being done to enhance medical device design? Join host Michael Keegan next week as he explores these questions and more with Professors Jin-Oh-Hahn and Monifa Vaughn-Cooke from the Department of Mechanical Engineering, at the University of Maryland next week on a Special Edition of The Business of Government Hour.